Ride ’em cowboy or cowgirl, whichever the case may be. 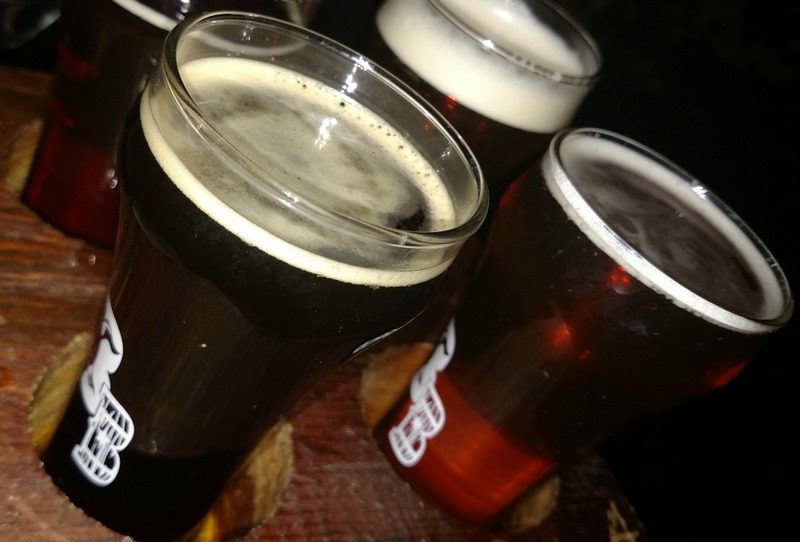 If you are looking for family fun, mouth watering eats, and well crafted brews then the Bull and Barrel Brew Pub located in Brewster, New York is the place for you! 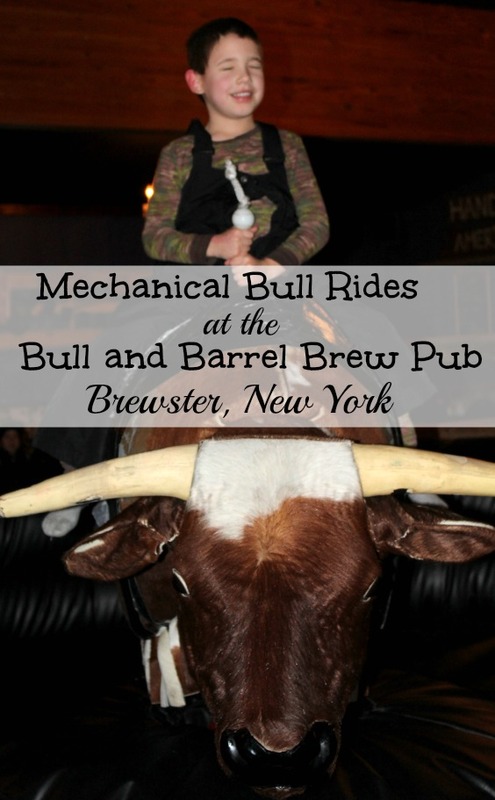 Ok, so I am not gonna lie, I was very excited to visit this brewery after our online search for breweries turned up a photo of the Bull and Barrel Brew Pub’s mechanical bull. Craft beer and mechanical bull rides all under one roof! I fancy myself a country girl even though in reality I am probably more of an urbanite so I was really excited to have a chance to ride a bull. Turns out we all rode the bull except my 10 year old party pooper son. My 5 year probably had the most fun. The Food Was Amazing!! The Service was Unbelieveable! 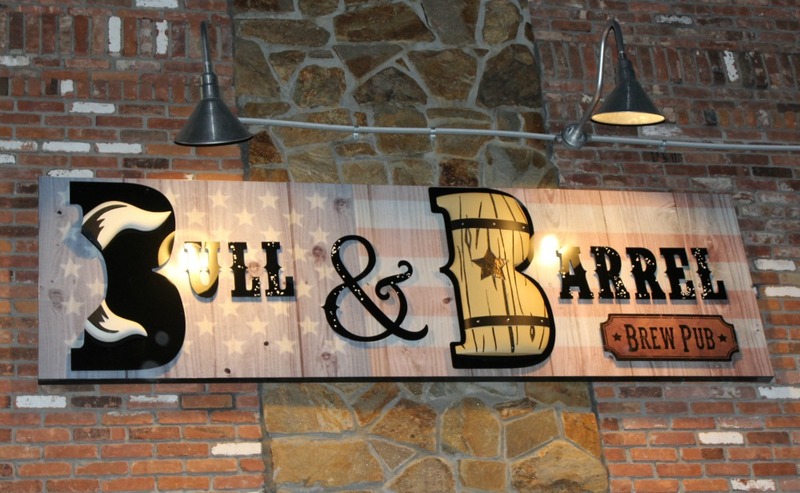 You will not be disappointed with the Bull and Barrel Menu! 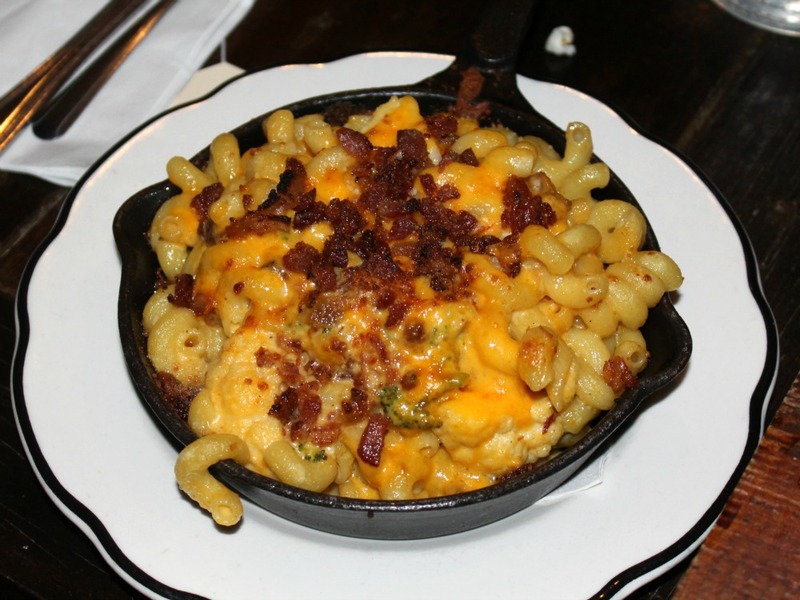 Bacon Doused Mac N Cheese – oh heck yeah! Not only do you get macaroni and cheese loaded with bacon, this dish also has broccoli and cauliflower. What could be better than that, you can write home and tell mom you ate your veggies! My husband and I always confer on what to order and switch plates partway through the meal so we can try two different dishes. Do you all do that? Anyway, I was very hesitant to trade after gobbling up this mac n cheese. However, after one bite of my half of the 2 Faced Burger I was glad I did. This burger is topped with pulled pork, that’s right a pig and a steer on one bun, and cole slaw, then drizzled with sriracha sauce. Yeehaw! Our server was very knowledgeable about the menu and the beer which is always nice. You can usually tell straight off if the server really knows the beer or not. I love it when they can recommend beers and they are honest about their favorites and least favorite beers. If you have read any of my other brewery posts, you know that I always recommend getting a flight. I love to taste all of the beers at a brewery even the styles I don’t like. You never know when you will be surprised and you don’t want to miss out on a great beer. So obviously we had a great time with the mechanical bull rides but what about the beer? 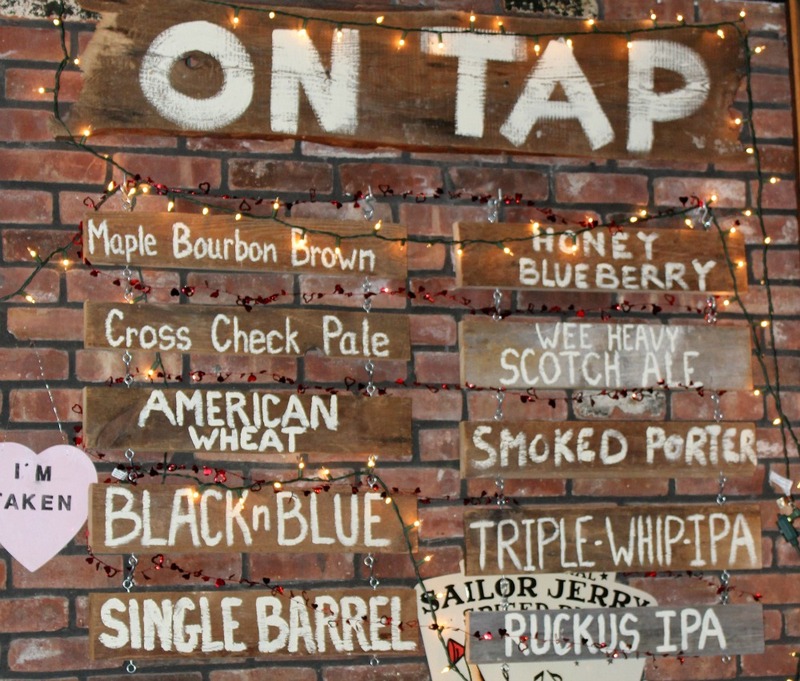 Bull and Barrel Brewery is known for it’s Honey Blueberry Wheat Ale. Now, in my all of my beer snobbery glory I will admit I have yet to find a blueberry beer that I actually like. They are either too sweet, too sour, or too synthetic for my taste. I shared my feeling about blueberry beer with my waitress and she insisted I try it and brought me a sample. Turns out it was really good, it had a nice subtle blueberry taste that was neither too sweet or synthetic. I really enjoyed it although I have to admit blueberry lagers and ales are still not at the top of my list. I really liked all of their IPAs and the smoked porter. So what did we take with us in the growler? We decided to go with the Ruckus IPA. If you happen to be anywhere near Brewster, NY you should definitely stop in at the Bull and Barrel. 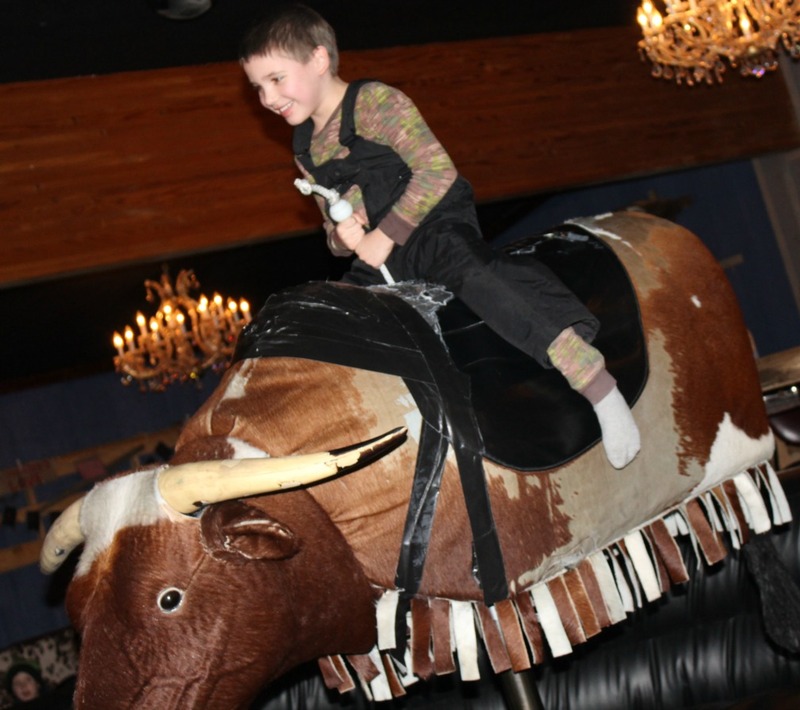 Wet your whistle, fill your tummy (and your growler), and absolutely you should enjoy a few mechanical bull rides!